Since Dottie has opened her clinic in the 3rd season of the TV series, she has made a lot of new friends. You might be acquainted with such characters as Officer Pete, the police car and the Wicked King. 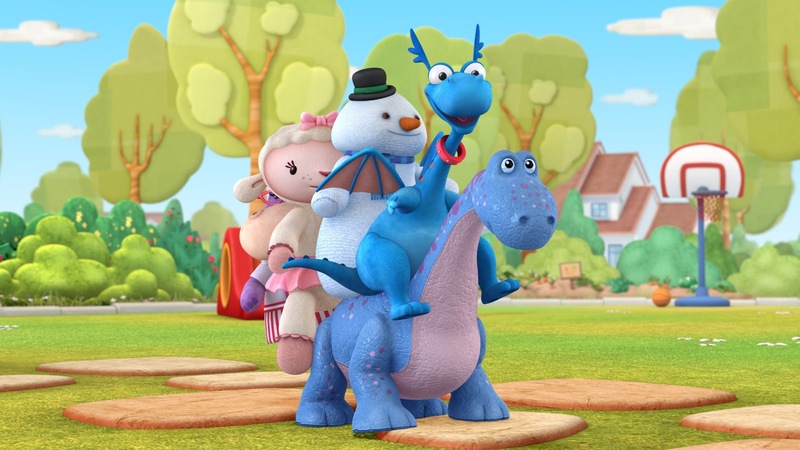 But the latest episodes have brought a great deal of new Doc McStuffins friends. Follow our articles to know them all! One of Doc’s new patients is Theodore, the sea turtle. He is extremely shy, but if you’ll listen to his story along with Doc and her assistants, you will like him. I believe Theodore’s shyness is somehow connected with Hermie, an old friend of his. Follow Theodore story in the episode Shell Shy, in the newest season of your favorite show. If you’re into discovering new characters, meet Count Clarence the Magnificent! He is a little bat who recently got up in a very unfortunate accident at the wading pool. 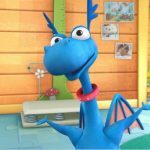 You definitely have to know him, partly because Count Clarence the Magnificent has one of the funniest accents of all Doc McStuffins friends! Yet, he is a quite grumpy bat. Is this because of his accident, or is it something bigger than that. Go to the episode called The Flimsy Grumpy Bat and watch Count Clarence’s conceited smirk! Sing along with Doc’s friends and maybe you will be able to bring the smile back to the bat’s face. Although we should never forget about the old toys, everybody likes brand new toys that have just came from the shop. Remember the joy you experienced when you received a new toy?! However, it might happen that even new toys have certain problems. Thus, just before a big sleepover at Doc’s place, Emmie finds out that her new toy, Hazel, has a little problem. Doc takes over the situation and is ready to help Hazel with everything she can. It turns out that Hazel has a leaky trunk. Go watch the entire episode Hazel has a Sleepover and get to know another toy from Doc’s universe. And maybe, just maybe, you will learn how to fix a leaking trunk after that. 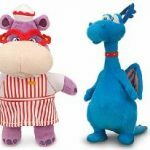 Doc McStuffins friends are interesting and fun to get to know. Some of them, like the grumpy bat you have just read about, may seem well.. a little grumpy at first glance. But once you get to know him better, listen to his story and learn from it, you will like him ever more! You are also one of the many Doc McStuffins friends. If you follow our blog and watch Doc’s adventures at her clinic, than you are already a part of a big family. In this family, we learn not only to cure one another, but also to listen and to show empathy for others. That is one of the most important thing that Doc McStuffins friends are trying to teach from one another. It is a wonderful lesson, isn’t it. Follow our blog, learn with Doc McStuffins and don’t skip any class. 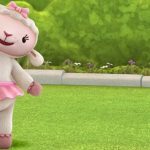 My Cuddly Valentine Is A Great Doc Mcstuffins Episode GladThat You Guys Has A Facebook Page And Blog Dedicated To Doc Mcstuffins Thinking Of Buying The DVD Doc Mcstuffins Cuddle Me Lambie. I Wrote Voice Over Actress Lara Jill Miller A Fan Mail Letter In 2009 And That Same Year I Got A Mini Signed Postcard From Her In The Mail Of Her And All The Cartoon Characters That She Has Voiced On TV. Hope That You’ll Watch The Two New Doc Mcstuffins Episodes Coming On Friday March 04.2016 On Disney Junior.